Speaking at the Bengal Global Business Summit, India's richest man paid lavish compliments to Chief Minister Mamata Banerjee saying that under her leadership "West Bengal is becoming Best Bengal!" 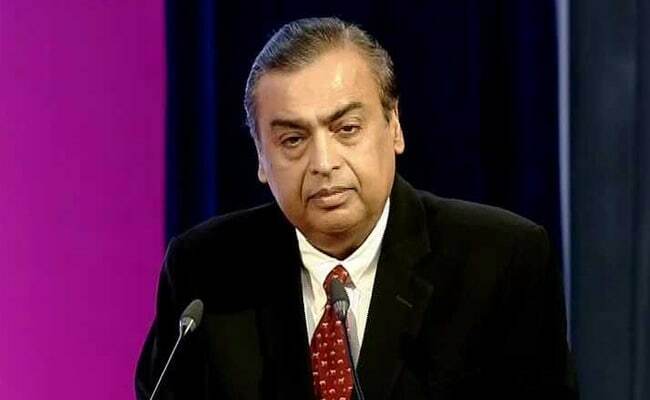 Kolkata: RIL Chairman Mukesh Ambani today announced Rs 5,000 crore investment in expanding telecom and petro-retail businesses in West Bengal and said his company is exploring the possibility of setting up a manufacturing facility for mobile phones and set-top boxes. Mr Ambani said his company Reliance Industries Ltd (RIL) had committed an investment of Rs 4,500 crore in the state but has ended up investing Rs 15,000 crore. "Didi, we could make this large investment only because you have created a friendly climate and an enabling policy infrastructure," he said, adding that RIL has emerged as one of the largest investors in Bengal. Most of the investment has been made in creating fourth- generation high-speed mobile and internet network for Reliance Jio, the telecom arm of RIL. "We are committing to invest another Rs 5,000 crore in Jio and the entire digital eco-system, retail and retro-retail in the next few years," he said. Also, Reliance will work with "multiple partners to explore setting up next generation state-of-the-art electronics manufacturing facilities and make West Bengal the hub for innovation and hi-tech technologies for consumer devices such as mobile phones, set-top boxes, and other devices", he said. Starting in 2015 through a public Wi-Fi Experience Zone in Park Street, Jio has enmassed over 1.2 crore customers in the state, Mr Ambani said. He said the digital economy will bring prosperity at more than double the speed of the traditional economy. While Jio will reach 100 per cent of state population before the end of 2018, it is "embarking on an ambitious project of connecting Bengal with Optic Fibre", he said. Also, Reliance is setting up Digital Service Centres across India to bring Government to Citizen (G2C) services within easy reach of every citizen, particularly in the rural hinterland. It will give birth to digital entrepreneurs in villages and small towns, kick-start e-commerce and support agriculture as well as small and medium enterprises. Mr Ambani said Bengal has said goodbye to the slow growth rate of the past and today is the fourth largest state economy in India, growing at 15.64 per cent, much higher than the national average. "Investments in infrastructure have been unprecedented. A global think-tank ranked Kolkata second among the Indian metros on overall economic performance, even ahead of Mumbai," he said. "Today, the state is famous for the ease of doing business! A miracle has happened." Stating that Bengal today means business, he said the state has adopted "a positive mind-set that can make the impossible possible."